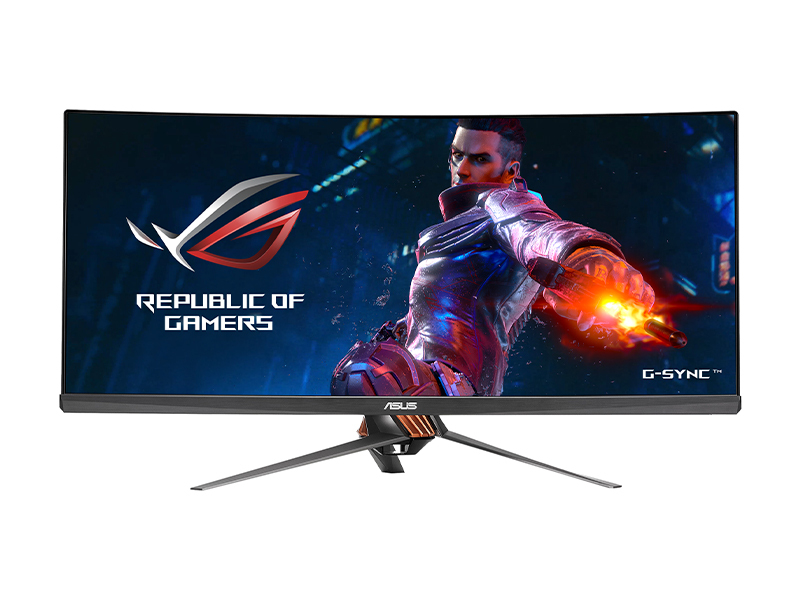 34" Ultra wide QHD Curved 3440 x 1440 - Gsync Nvidia with 100hz Refresh Rate . ROG Titanium - Ultra Blue Light - Flicker free - Frameless Design - IPS . 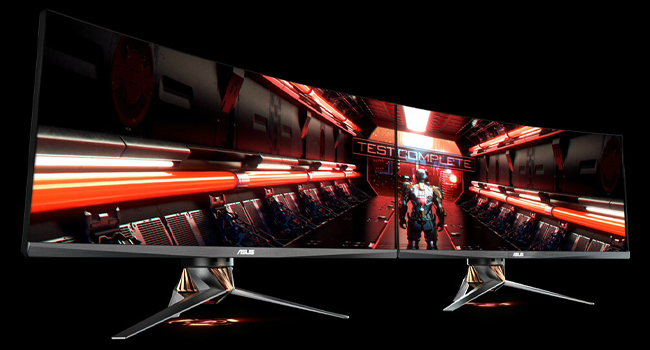 The ROG SWIFT PG348Q is truly the ultimate gaming monitor. Featuring a curved 34" IPS display at 100Hz, 21:9 Ultra-wide 1440p, ergonomics, NVIDIA G-SYNC technology, and aesthetics without equal, the PG348Q breaks the boundaries of 16:9 and raises all aspects of gaming monitor technology to the absolute pinnacle. The ROG Swift PG348Q gaming monitor features a 34-inch 3440 x 1440 ultra-wide QHD panel with pixel density of 109 pixels per inch, so you enjoy greater detail when playing games or watching movies. Its ultra-wide 21:9 aspect panel gives you 35% more onscreen desktop space than a WQHD display. 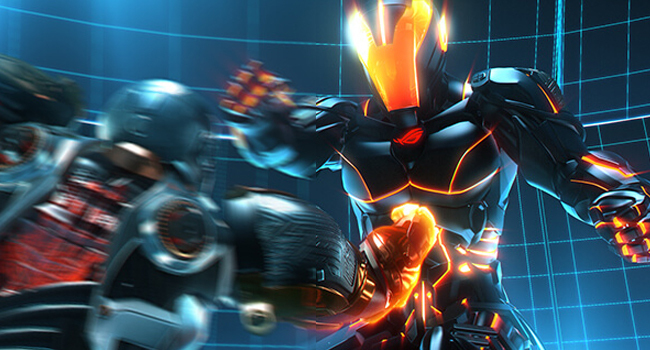 ROG Swift PG348Q has a 100Hz refresh rate to decimate lag and motion blur so that you have the upper hand in first person shooters, racer, real-time strategy, and sports titles. 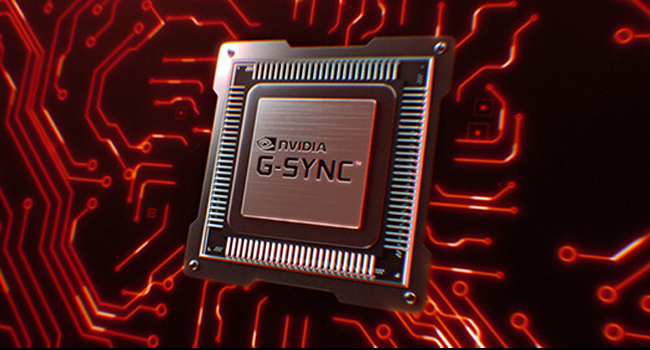 NVIDIA G-SYNC display technology delivers the most breathtaking gaming imaginable by eliminating screen tearing, and minimizing display stutter and input lag. 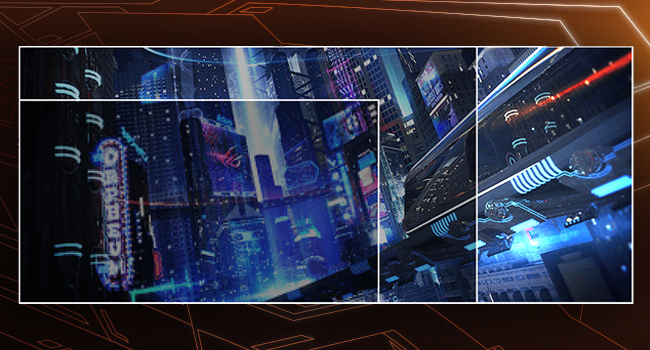 ROG Swift PG348Q gives you smooth and seamless lag-free visuals when playing the latest fast-paced first-person shooters and sports.